The question most newcomers face when first arrived in Rome is always the same: ok, I am finally here, now.. what shall I do? Rome is so overwhelmingly full of attractions that it’s not easy to decide; Ancient ruins, baroque churches, and Renaissance palaces come together through the many charming little streets that constitute the soul of this city. There is no way you remain unimpressed after having gone through the more than 2000 years of history that make Italy’s capital one of the most impressive cities in the world. But, how to make the best out of my stay in Rome? 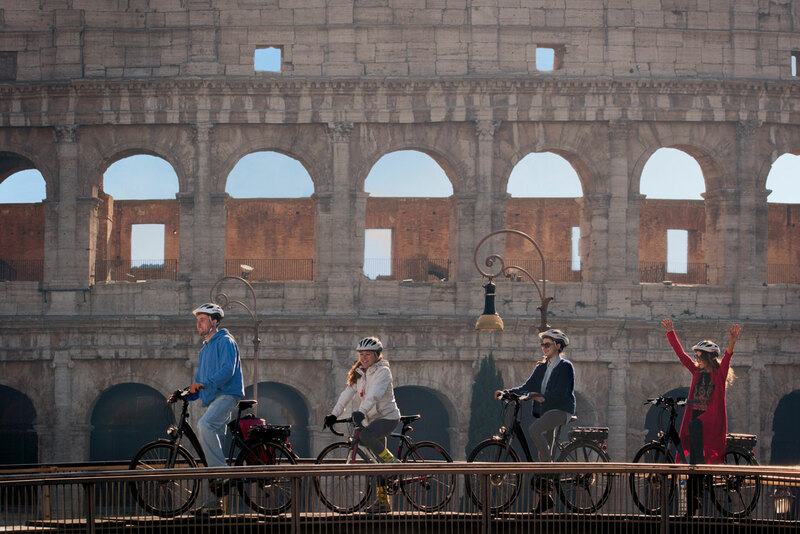 Rome bike tours are by far the top way of visiting the city. It’s not so much about making sure that you cross out from your “bucket list” as many monuments as possible. Getting on and off a cab to make sure you don’t miss out on any big guy like the Colosseum, the Trevi Fountain or St. Peters Basilica is not the point. What really defines a city (no matter how cool the main attractions are) are its little alleys, where culture naturally flows in an unspoiled beauty. There is nothing like following your tour guide (hoping he doesn’t get lost) through the colorful streets of Trastevere or the cozily hidden passages around the area of Piazza Navona. Let yourself loose to the soul of the eternal city to find out how it really is! Yes, walking is also possible. We all enjoy stopping every 20 seconds to get a taste of our gelato or to make sure that our Polaroid saves the moment forever, but Rome is big; very big. Connecting its main highlights is easier said than done, even for the more enthusiastic. You don’t want to go back home with more blisters than memories. 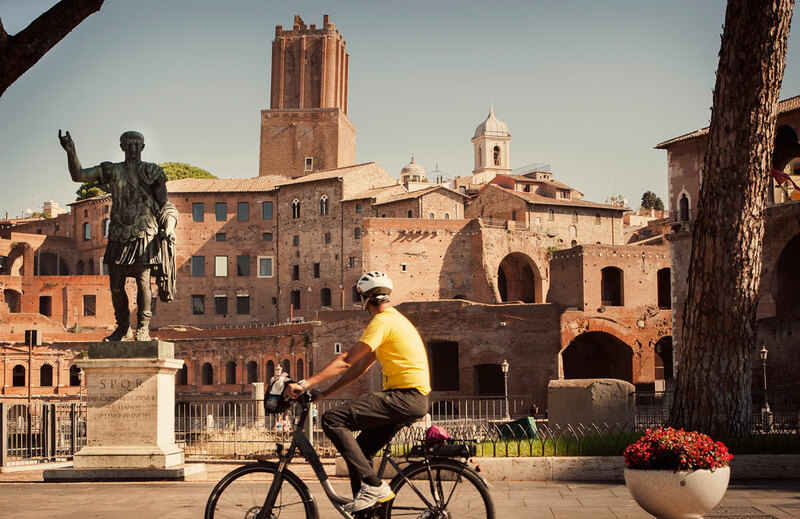 Covering Rome’s long distances is much easier with a city bike. You will be able to reach different areas of the city, compare neighborhoods and get a good idea of where it’s worth coming back for an aperitivo. 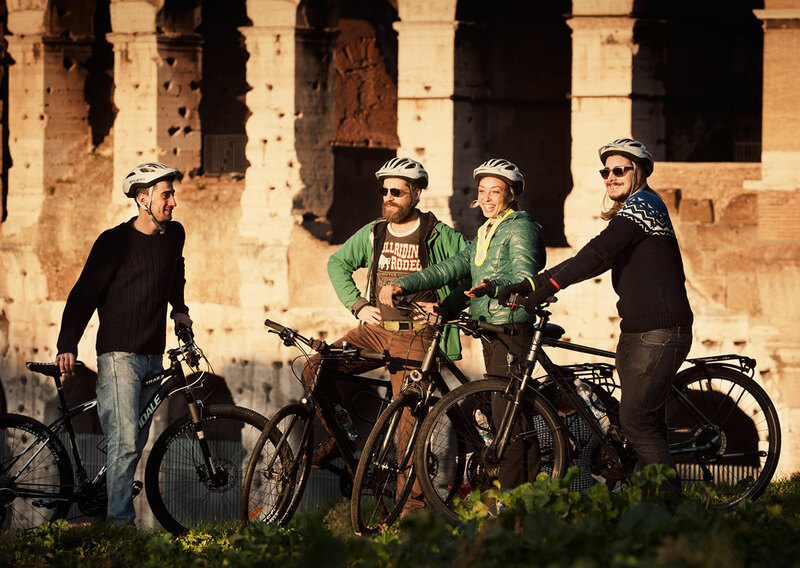 To make things even better, many companies offer bicycle tours with optional electric bikes, which make the whole experience much more enjoyable if you just want to relax. In the end, you are on vacation. But its not only a matter of quantity; quality plays a big part as well. Don’t expect ancient temples to speak out their history and tell you some secrets about Julius Cesar once they notice that you are looking at them. 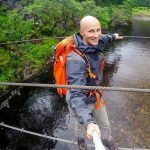 Even if history is not your thing, having a tour guide explaining the historical importance of the 2000-year old monuments that you see will surely take your ride to a higher level. Did you know that only about 10% of gladiator’s fights ended up with a fighter getting killed? The Hollywood version of Gladiator is great, there is no way of denying that, but I wouldn’t miss out on some extra information. All companies have English-speaking guides, but you will also be able to find easily guided tours in other languages like Dutch, French, Spanish or German (and much more!). It’s the combination of beauty and history that will leave you opened-mouth. Speaking of opening your mouth, I am quite sure that a standard visit to Rome includes an additional 1000 calories per day on your normal diet. Italy is known worldwide for its great food. Roman typical dish, Carbonara, made out of guanciale (some kind of bacon) and eggs are certainly not the most healthy lunch, let alone the daily ration of gelato and wine. What if I tell you that 1 hour of biking is equal to 1 dish of pasta? Seems like a perfect deal; fall in love with Rome in the morning and enjoy a well-deserved Italian dinner guilt-free in the evening. I am betting that you are not planning to take some extra pounds back home as souvenirs. 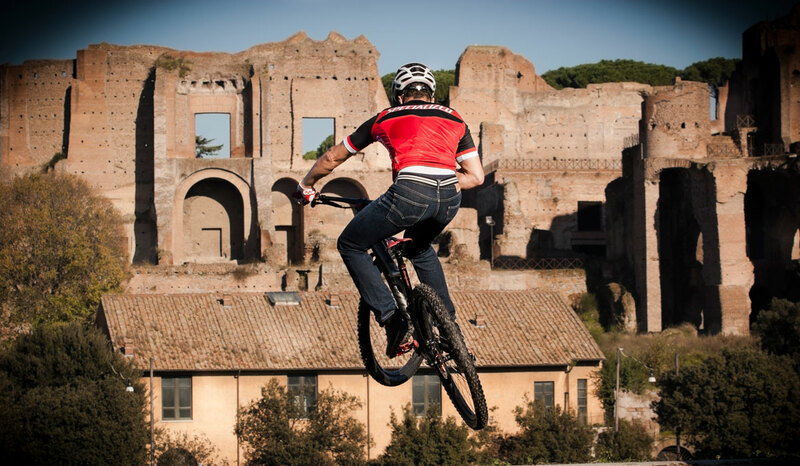 Finally, it is worth mentioning that Rome’s city center is closed to traffic. You know the stereotype: crazy Italians on their scooters all over the place, while some reckless drivers try to break the world record on their way home after a stressing day of work and coffee, but there is no need to be discouraged. Luckily, most of the city’s main monuments, like the Trevi Fountain or the Pantheon are not accessible to private cars of non-residents. You don’t have to worry about the craziness of Rome’s main avenues as long as you know the way. 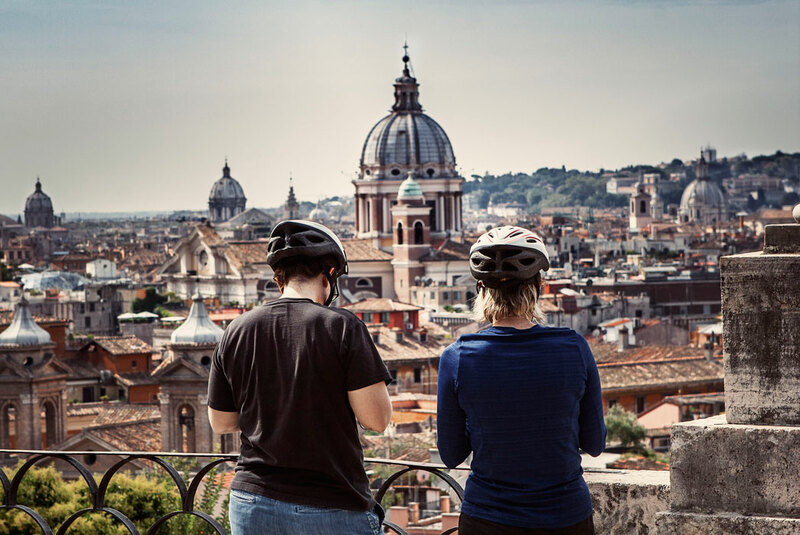 Nobody is smart enough to learn which are the best roads to bike by heart in a few days, but Rome bike tours make sure to include the less chaotic streets in their itineraries. Just follow your tour leader and keep your eyes open to appreciate every detail on your ride. Last but not least, you don’t want to find yourself sharing the streets with other 25 bikers, so considering finding a company with maximum group size or booking a private tour to make sure you go on a small group.